GRAHAM - JC Lon Vandiver, 67, of Graham, died Monday, September 22, 2014, in Beechmont. Mr. Vandiver was born February 22, 1947, in Hopkins County. He was a truck driver at Clay Jones Trucking and of the Baptist faith. 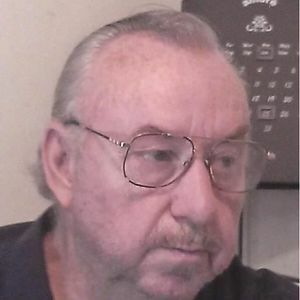 He is survived by his wife, Rebecca Vandiver; sons Danny Vandiver, James Vandiver, and Matthew Vandiver; daughters Jennifer Medley, Amanda Vandiver, Terri Vandiver, and Shellie Vandiver; twelve grandchildren; sister Nellie Josleyn; and brother Tommy Vandiver. Funeral services will be Thursday, September 25, 2014, at 1:00PM at Tucker Funeral Home in Central City, with Rev. Jerry Williams officiating. Burial in Vernal Grove Cemetery. Visitation will be Wednesday after 6:00PM at the funeral home. Online condolences may be made at www.tuckerfuneralhomes.com. The beautiful and interactive Eternal Tribute tells JC's life story the way it deserves to be told in words, pictures and video. Becky, I'm so very sorry for your loss. Love and prayers during this difficult time. So sorry for your lost, prayers and thoughts are with you and the family.